When it comes to face masks I'll be honest I've not tried a huge amount. I find one I love and stick with it, but me being me I still like to try something different, just in case that one is better than the last one, but in all honesty most don't fit my needs so they get thrown out. REN is brand I love, however I've not tried a huge amount of products from the range. 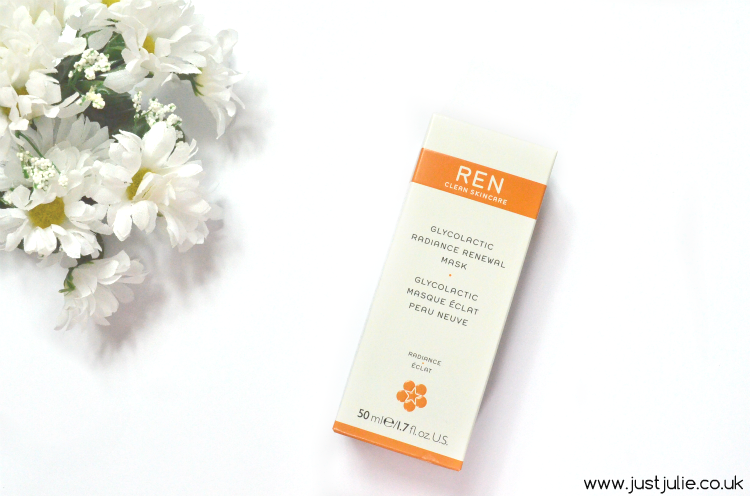 Having heard amazing things about the REN Glycolactic Radiance Renewal Mask* I just knew I needed to try it! One of the reasons why REN is such a popular brand is due to their no nonsense paraben free products. All include natural fragrances and have no nastys within their products. As I write this I'm actually questioning myself as to why I don't have a cupboard full of REN products! REN Glycolactic Radiance Renewal Mask is a weekly exfoliating face mask that promises to remove dead skin cells, improve skin tone, renew and give life to your complexion and reduce the appearance of fine lines and wrinkles, which is basically what I look for in a face mask. Firstly this smells gorgeous. It really has a zingy scent to it, which I find very refreshing. The ingredients are gorgeous too and you can really smell the natural extracts of passion fruit, lemon, grape and pineapple within this. To use you apply the mask to your face, leave for 10-15 minutes and then use the dampened cloth that's included to wipe it off. It really is a hassle free face mask that won't interrupt your routine. The box says you might experience a slight tingling sensation, but I'll be honest I experienced minimal tingling. The first time I used this my skin felt so soft, silky soft in fact and after using this a few more times I can confirm that my skin is look brighter, my skin tone is looking slightly more even and I have this kind of glow about my face. My makeup is applying amazing the following morning after I use this, and dare I say, my makeup is lasting longer as I seem to be producing less oil?! You're meant to use this once a week but I've been using it twice a week and I feel like this is helping to improve my skin with an extra application. I'm still using my GLAMGLOW Supermud face mask, but that's now gone down to just once a week. The REN Glycolactic Radiance Renewal Mask is amazing, I feel like it's been sent from above and someone up there has listened out to my prayers! If you're in the market for a new face mask, and feel like your skin is just looking dull and tired then give this a try. It costs £30, but I think that £30 is well worth it. You don't need to use a lot either, so it should last you awhile. 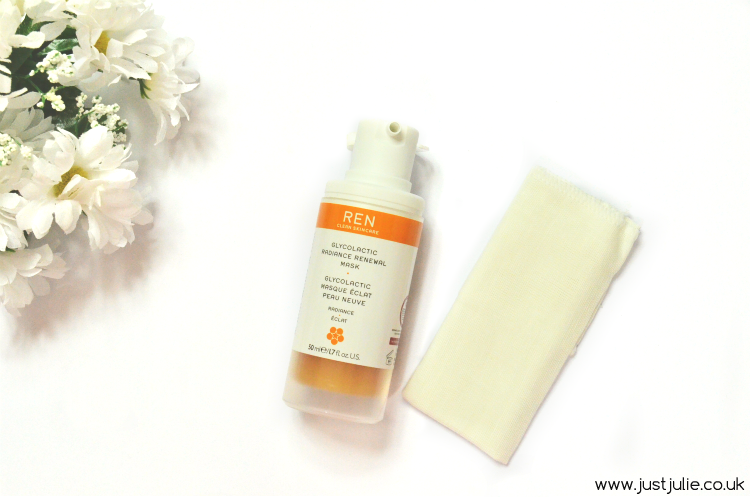 Have you tried the REN Glycolactic Radiance Renewal Mask before?